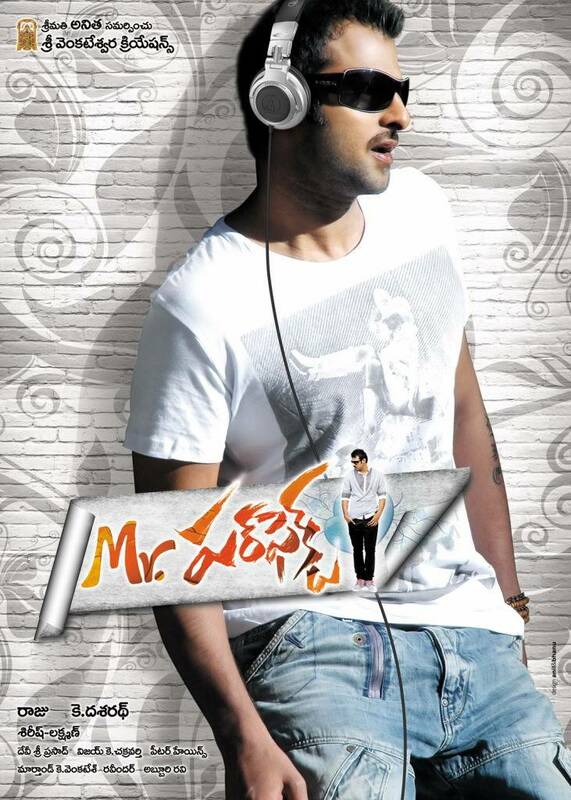 Cast – Darling Prabhas,Kajal , Tapsee,Kala Tapasvi ‘VishwaNath’,Prakash Raj,Nazar, Brahmanandam etc. Vicky(Prabhas) is a easy going tension nahi lenaka person and don’t care attitude person when it comes to the profession.Divya(Kajal) is a bubbly happy go person,who thinks her village as a small world.The mannerism and way of talk with others by Prabhas and Kajal is different from each other.There enters the other character Tapsee who is the copycat of Vicky’s(Prabhas) mannerism and attitude.So the rest of the story is whom will prabhas choose as his partner and what are the consequences he faces when meeting with the two..? Dasarath is the face of family stories (like his earlier movies like Santhosham and Sambharam).Hmm,Ya your assumption is right.This movie belongs to flavour of family stories.He shot the scenes very well and attached to the limited dialogues like 20-20 cricket without over bounding the sentiment. Who is Mr.Perfect in acting? Definitely it’s Darling Prabhas.He acted very well in the movie in such a way that as if he involved in the character.Prabhas is going like venkatesh way in choosing the family stories(like Darling earlier). Kajal, as cute as ever as usual deployed the role of Divya with ease.The duo Prabhas-Kajal once again proved that they are the darlings of Andhrites.The other cutie Tapsee acted well as a maverick kinda and don't care about the world person.Credit to Dasarth for right selection of tapsee in this character.She has given her own voice for dubbing in this movie movie for the first time.Prakash Raj , Vishwanath and others involved well in their characters. Music is by D.S.P alias Devi Sri Prasad is super.All the songs are good and rhythmic. 1.Fisrt song 'Rao gari abbayi' is story telling about diff generations.Very pleasant and rocking. 2.Aggi Pulla and Ningi Jarapaddha is of maska chaska way with mix of chilipiness and hungama. 3.Chali Chaliga sung by Shreya Goshal is as sweet as Shreya’s voice. 4. Dol Dol is dola re dhani with much shaadi band baaja depicting the liveliness of wedding. 5.Light Teesko is really tension revealed and masti karneka song . song with some different kinda of steps. 7.Badulu Tochini is senti and touching in a regular way of devi sri prasad’s earlier songs. In today’s world every body is Imperfect.But every body (most of them) thinks that they are Perfect by mirroring their image with others .So what exactly the Mr.Perfect(or Miss Perfect...lol) is ..?So if you guys want the prefix Perfectionist to your name, then step into theaters.Itz a refreshing cool family entertainer in this summer.